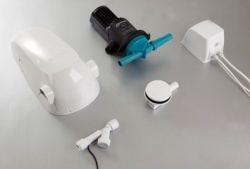 Whale Shower Pumps drain waste shower water when gravity drainage is not an option. Whale Shower Pumps have a reputation for reliability and quality and have a proven track record of producing fantastic waste shower water drain pumps. Whale Shower waste water drainage pumps are used to remove waste water from shower areas when gravity waste water drainage is not an option. Shower pumps remove the water from the shower area. 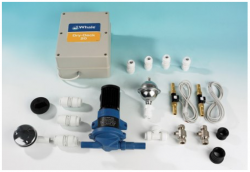 Whale Waste water pumps can be activated to start draining the waste shower water either by a flow-switch which senses the flow of water going to the shower or have direct link communication with the shower by either bluetooth or hard wired. 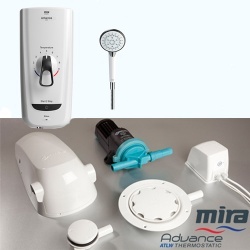 We have a selection of Whale Shower Pumps which can be connected to suitable Shower Tray waste outlets or Wet room waste outlets. 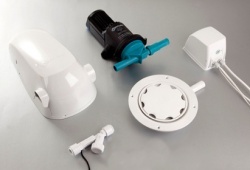 Please contact us if you are unsure which kit you need for your installation. 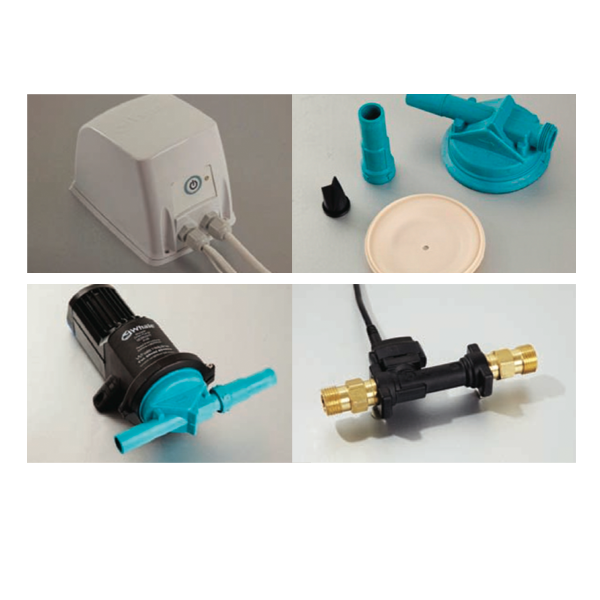 We also have a range of spare parts / accessories for the Whale shower pumps.